This bespoke Study was designed, built and installed to the customers requirements, by our local Cabinet Maker/Designer Jeff Gorbeck. Working together we discussed the overall design options and finishes with the customer to determine exactly what they are looking for, and the design is created to work for each client’s requirements and to make best use of the space in the room. Therefore, the outcome is always one that is very personal to the customer and their house. 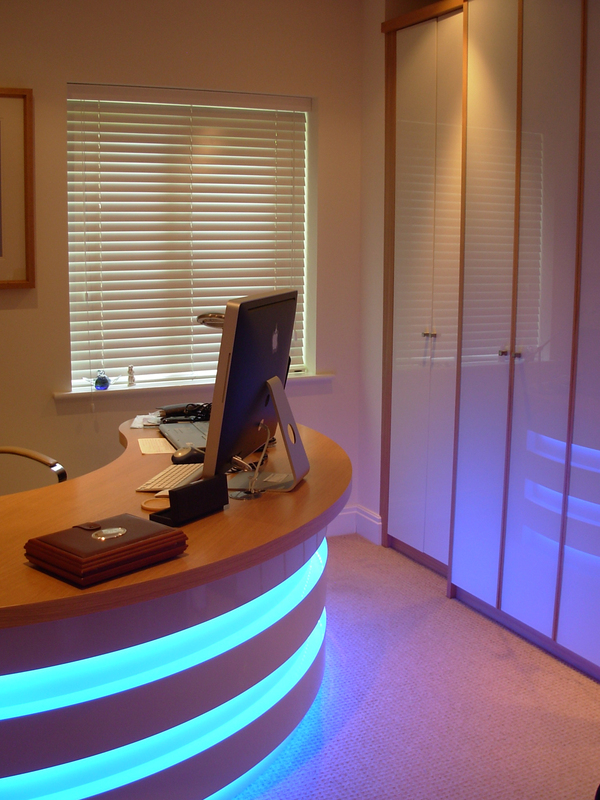 Here we have a combination of high gloss white lacquer, powder coated white glass and oak veneer, with the added wow factor of hidden blue rope lighting.